Judith McEwan sang with St Cecilia Chorus for 30 years and was our Secretary until February 2018. She instigated the idea of a Choral Scholarship programme and was passionate about encouraging people from all backgrounds to sing. St Cecilia Chorus appoints Choral Scholars to sing with us for one season between September and July. These opportunities are ideal for anyone aged eighteen and over aspiring to be a professional singer or wishing to develop their choral singing and sight-reading in preparation for a choral/musical scholarship. We pay an honorarium plus expenses. Applications for our 2019-20 Choral Scholarship will open shortly. Our current choral scholar is soprano Francesca Pringle who is studying at the Royal Academy of Music. Benjamin Jerrard was the first recipient of the Judith McEwan Choral Scholarship of St Cecilia Chorus. He is a London based classical Tenor whose passion for singing started when he joined the Chapel Choir at The John Fisher School at the age of eleven under the leadership of Alan Murdoch. Under the tutelage of Richard Slade, Benjamin won many local junior classical singing competitions including the Marion Wey Trophy. 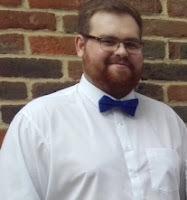 Benjamin was also awarded a choral scholarship at St Michael’s Church, Cornhill London and it was his passion for sacred choral music that eventually led him to opera music Benjamin has recently graduated from Trinity Laban Conservatoire of Music and Dance specialising in vocal studies and performance. 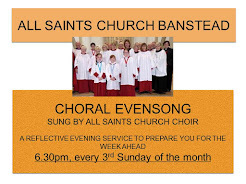 Contact 07796 348226 or chair@stceciliachorus.org.uk for more details.